When you stay at Nomad Suites Residence in Libreville, you'll be near the airport and 15 minutes by car from Port Mole. Featured amenities include a 24-hour business center, complimentary newspapers in the lobby, and dry cleaning/laundry services. 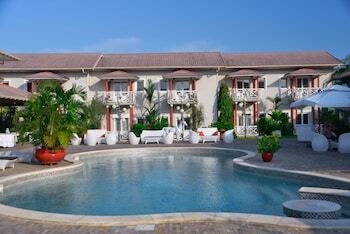 Planning an event in Libreville? This aparthotel has 1346 square feet (125 square meters) of space consisting of a conference center and meeting rooms. A shuttle from the hotel to the airport is complimentary (available on request).